Prof. Wilson Wan is the Chief Executive Officer of Cleverage Capital Limited and an Independent Non-Executive Director of Shenzhen Expressway Company Limited and Shougang Concord Grand (Group) Limited. He is also an Adjunct Professor of the Department of Finance, The Chinese University of Hong Kong (CUHK) as well as Chairman, Alumni Committee and Member of the MBA Advisory Board, CUHK. Chief Executive Officer of China Merchants Securities (HK) Company Limited. He joined the company in July 2012 and successfully transformed it from essentially a brokerage house to a full-fledged Investment Bank with international competences. Among the leaders in Corporate Banking and Syndicated Loan arena, Prof. Wilson Wan was the Chairman, China Committee and Vice-Chairman of the Asia Pacific Loan Market Association during 2005-2012. 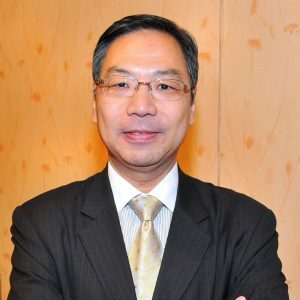 Prof. Wilson Wan graduated in 1982 from The Chinese University of Hong Kong with a Bachelor of Business Administration (Honors) Degree and in 1985 from University of Pittsburgh, the U.S. with a Master of Business Administration Degree (Dean’s List). He is a CUHK Chapter Honoree of Beta Gamma Sigma, with which he has been a member since 1984.